It is that time of the year again, when people globally can witness India's diverse cultures. The country's eastern, northern and southern parts are gearing up to celebrate the harvest festival of the year, which is also considered as the Hindu New Year. Baisakhi, Bihu, Vishu, Pohela Boishakh and many more festivities are celebrated with vigour and enthusiasm during this time of the year. Similar to these festivals, the Tamil-speaking people in India observes Tamil New Year, the date of which depends on the solar cycle of the Hindu calendar. People in Tamil Nadu, celebrates the onset of the new year, by observing Puthandu. Apart from all the traditional rituals, individuals share their warm Tamil New Year greetings to their friends and family, hoping for another year filled with positivity and prosperity. 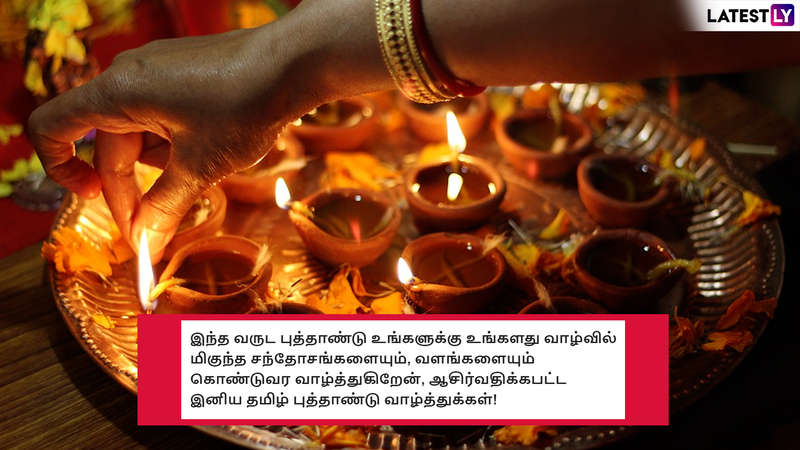 As the search for Puthandu 2019 wishes in Tamil and English is already high, we have compiled Tamil New Year messages for you. 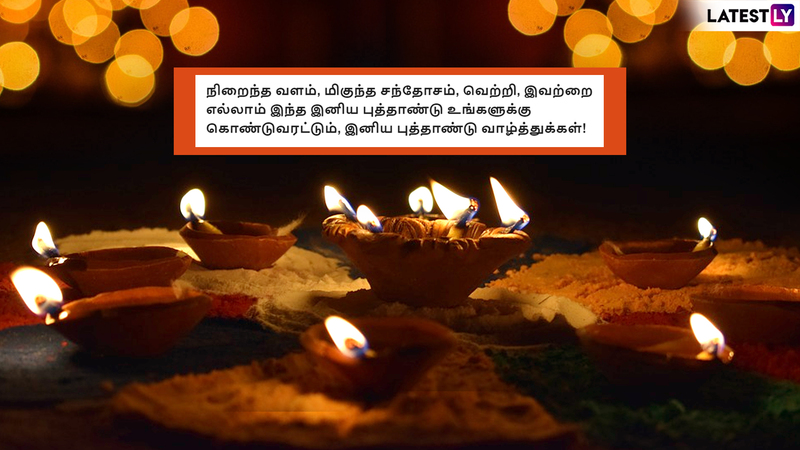 Share the Facebook Puthandu greetings and Tamil New Year 2019 messages in Tamil along with WhatsApp stickers and festive images to enjoy the beginning of the Hindu calendar with much enthusiasm. 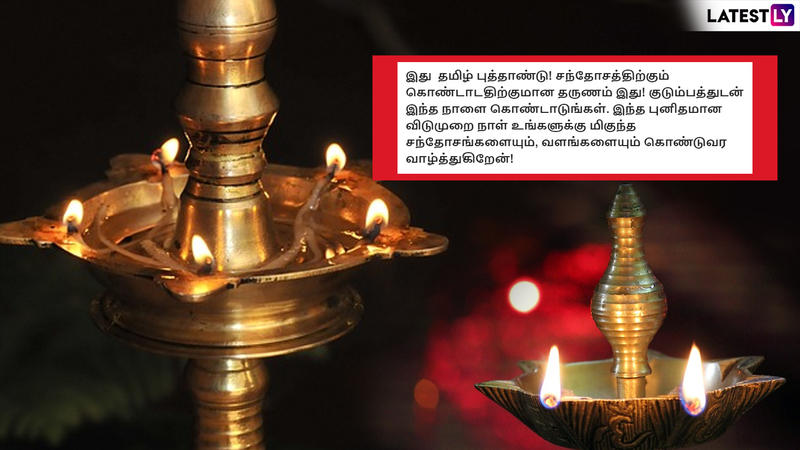 Tamil New Year is also known as Varusha pirappu and is celebrated on the first day of Tamil month Chithirai. When Sankranthi takes place after the sunrise and before sunset, the New Year celebration begins in Tamil Nadu. This year, according to Drik Panchang; Puthandu falls on April 14 and the Mesha Sankranti moment is 02:25 pm. Since, it is the auspicious occasion of Puthandu 2019, check out the fantastic collection of Tamil New Year greetings and messages 2019 in Tamil and share them with your family, wishing for prosperity and liveness in the coming year. From Panakam to Paruppu Payasam, Relish These Traditional Tamil New Year Dishes. WhatsApp Message Reads: Celebrate life. Celebrate new beginning. Happy Tamil New year to you. Puthandu Rasi Palan (Photo Credits: File Image)WhatsApp Message Reads: May this year’s Puthandu bring in abundance, joy and prosperity to your life. Have a blessed Tamil New Year! Angila Puthandu Vazthukal (Photo Credits: File Image)WhatsApp Message Reads: Let this Puthandu be the start of you new, better life. Have a happy and blessed Tamil New year. 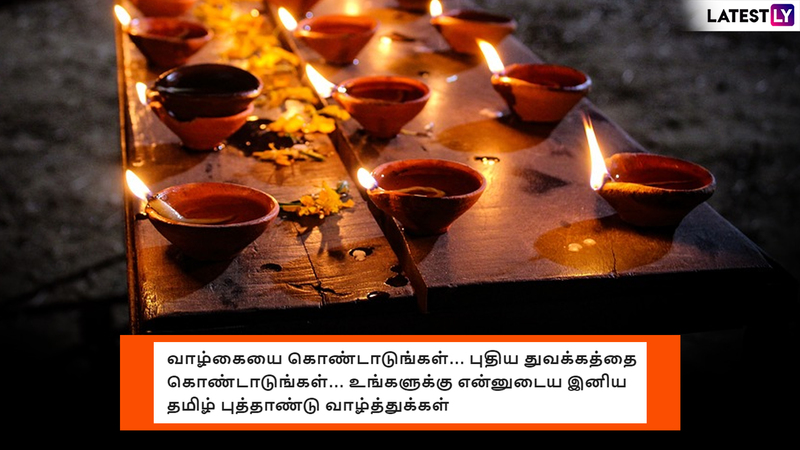 WhatsApp Message Reads: May this year’s Puthandu bring in abundance, joy and prosperity to your life. Have a blessed Tamil New Year. 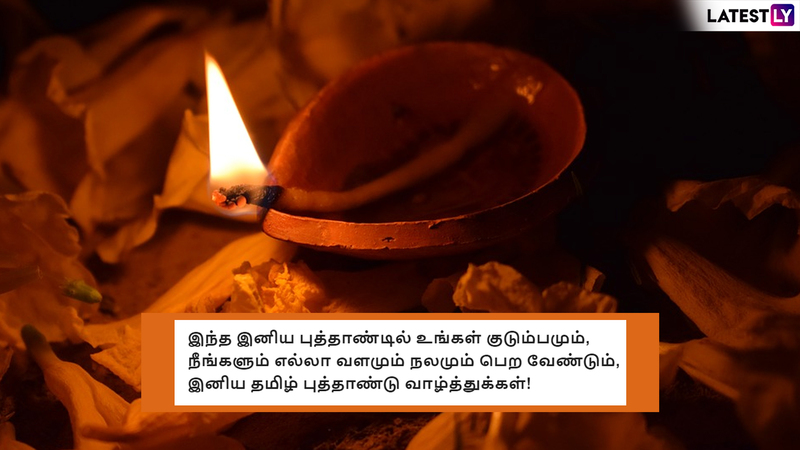 WhatsApp Message Reads: Let this Puthandu be the start of you new, better life. Have a happy and blessed Tamil New year. 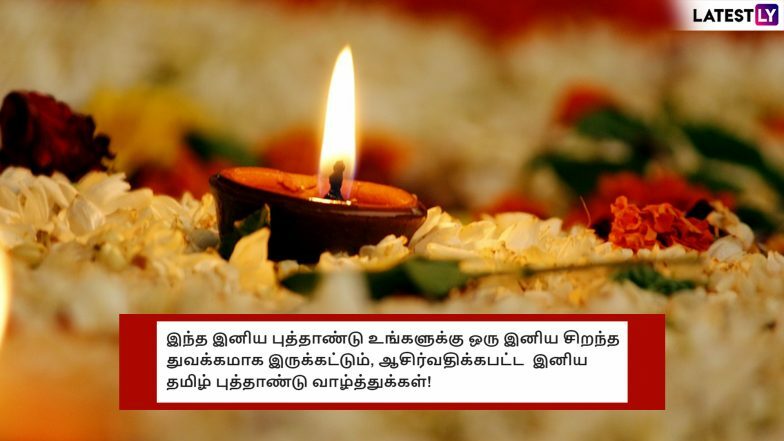 WhatsApp Message Reads: May you and all of your family members be blessed with good health and good fortune this Puthandu. Happy Tamil New Year! The advent of technology has benefited us in many ways. With the introduction of WhatsApp stickers, people are enjoying the festivity with much enthusiasm. Just like other festivities, WhatsApp has also unveiled Puthandu stickers 2019 for all you download exclusively through the Play Store app. Marking the occasion of Tamil New Year 2019, people are seen wearing new clothes and relish the best of festive food. They visit their friends and close people to exchange Tamil New Year greetings-- Puthandu Vazthukal and spend the auspicious time together. We hope that you like the collection of Puthandu wishes and greetings above and have a delightful time this Tamil New Year.